The second winning essay (which, by the way, there will be FOUR official winners now, not three- with more than double the entries from last year, I figured it would be okay to tweak my own rules a bit and add one extra winner) comes from Kim Kawecki, a communications professional based in Boston. 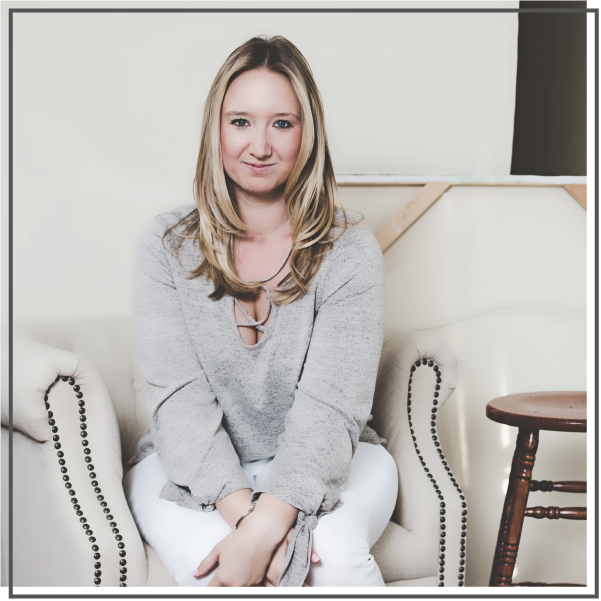 Kim’s was one of those last-minute essays that rolled in within hours of the deadline, but I am sure glad she decided to share her inspiring story! Kim writes about running, but more importantly, she writes about believing in yourself and your unique abilities. I hope you love Kim’s story as much as I do. Through the years, I’ve worn through dozens of pairs of sneakers and clocked hundreds, if not thousands of miles. I’ve had runs so light I felt I was flying. I’ve had runs so terrible I could have crawled faster. I’ve had runs with friends talking over the big things and laughing over the small things. I’ve had runs with complete strangers who I’ve met along that day’s route. I’ve had runs I barely remember because I was so caught up in my own head solving problems and coping with some of life’s unfortunate curve balls. I’ve had runs on the Pacific Ocean, in the Rocky Mountains, along the Cape Cod coastline, through winding trails, in the Windy City and along the iconic Charles River. I’ve had runs chasing the sunrise and others winding down with the sunset. I’ve had runs, so many runs, where I was completely in awe of the beauty surrounding me. I’ve had runs along race courses covering two miles to half marathons, but I’d never conquered the big one: the full marathon. Running a marathon has always been the ultimate thing on my bucket list. When I sat down in the first week of January 2014 to make my list of goals for the year, I penned ‘finally sign up for and run a marathon.’ Having watched one of my roommates run a few marathons, I knew I wanted my first marathon to be in one of the big cities, so over the next few weeks I put my name in the lotteries for Chicago, DC, Philadelphia and New York City. Upon returning from a winter getaway to Miami, I was waiting in line at Target and reading through my emails on my phone when one caught my attention. The subject line read: “Congrats. You’ve won a guarenteed spot to run the 2014 TCS NYC Marathon!” Since ‘guaranteed’ was spelled incorrectly, I almost deleted the email altogether thinking it was spam. But when I opened it up, my stomach swelled with butterflies: this wasn’t a hoax. Through a marathon sweepstakes, my application had been miraculously chosen as one of the few lucky winners and here I was being offered a coveted marathon entry outside of the general lottery. I mean, when you get a chance like this — you have to take it right? Right. So before I could chicken out, I claimed my prize, submitted my $200 entry fee and posted a note on social media to hold myself accountable: no backing down now. I read a book about training for your first marathon, planned out my schedule, bought my new gear and when July rolled around, I officially started my training program. I’ve always been a very active person and usually run or work out in some capacity five to six days a week. But, as I expected it might, marathon training required another level of physical, psychological and emotional dedication. Simply put, it’s not the signing up for a marathon, or even running one itself, but the training that takes guts. It’s intimidating to face down 15 consecutive weeks of meticulously planned workouts. It takes willpower to decline a Thursday night out because you have to get in a weight lifting session before work the next morning. It’s downright annoying to watch your food bill escalate every week and to eat consistently on the hour throughout the day and somehow still be hungry. And sure, it takes discipline to get up early on a Saturday morning to cover 18 miles before the summer heat gets too blisteringly humid. But it takes courage knowing that you’re going to spend those three hours by yourself, running, with only your own voice in your head to propel (or prevent) you getting through it. Through all of this, I learned. I learned how my limits are actually a lot farther than I think. I learned mental and physical coping strategies. I learned how strong I really am. And upon discovering a foot injury only a month before race day, I learned the hard way how important it is to have the right size sneakers. Most importantly, I learned how simple it really is to commit yourself to something that you really, really want, even if the execution itself might be challenging. Running the New York City Marathon was an absolutely incredible experience. It was a journey full of emotions, and unfortunately some old knee injuries that came back to haunt me. Even when I was in pain, I couldn’t help but have a goofy grin plastered on my face, as strangers cheered my name and fellow runners gave me high-fives. Throughout the five hours of running (at times it was more of a very slow jog), I tried to stay present, to be in the moment, to soak it all in. I had spent so many hours and months preparing for this day, I was determined to enjoy it as much as physically possible along the way because I knew that it would all be over before I knew it. And when I crossed that finish line, the feeling of accomplishment was overwhelming. It’s a feeling that I wanted to bottle up and save forever because it was the moment that a lifelong goal became a reality. It’s a feeling that I will chase down again, and again, and again. And not just through running, but through stepping outside my comfort zone to do other things I’ve always wanted, but never quite had the guts to do. Like, for example, this — publishing a piece of my writing for all the world to read. 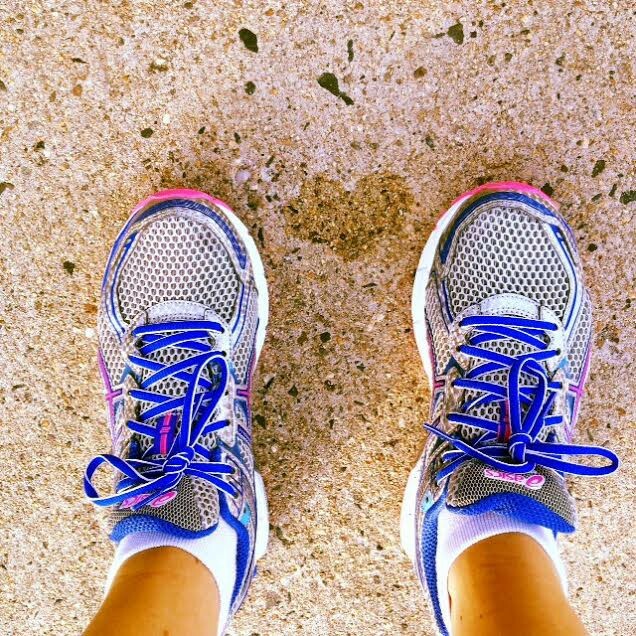 Following an early morning training run this summer, Kim leaned over to stretch and her dripping sweat formed this perfect heart on the sidewalk. 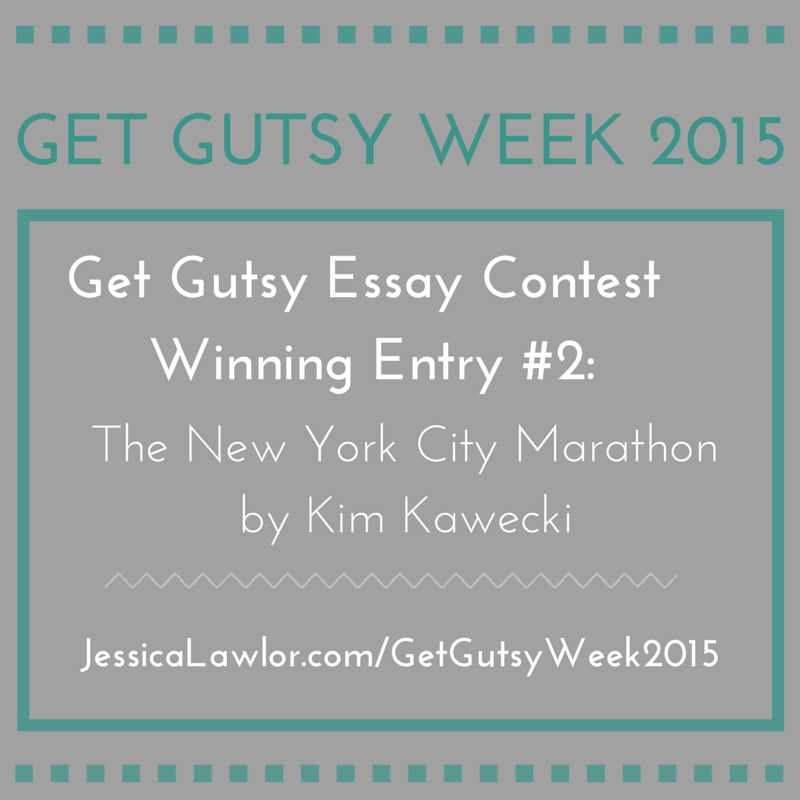 This post was written by Kim Kawecki as part of the Get Gutsy Essay Contest. This post was originally published on Medium, but stay tuned for Kim’s forthcoming website!